Menschen und ihre Projekte: Blogtipps sind herzlich willkommen. Seit ein paar Monaten habe ich keine Geschichten mehr publiziert. Das lag ganz und gar nicht daran, dass mir keine spannenden Menschen oder Projekte begegnet sind. Ich habe mich in der letzten Zeit einfach auf andere Tätigkeiten fokussiert und das wird sich in der nächsten Zeit auch nicht ändern. Interviews mit Menschen, die beruflich eigene Wege gehen und ihre Berufung leben, sind bei „Beruf + Berufung“ von Mathias Morgenthaler zu finden. Eine Interviewreihe über Träumer, Gründer und Selbermacher ist bei „SUPERWORK“ von Catharina Bruns und Sophie Pester zu finden. Bei „Freunde von Freunden“ gibt es regelmässig inspirierende Interviews mit Menschen aus aller Welt zu entdecken. Alleine schon die stilvollen Fotografien im Blog verleiten zum Verweilen. Bei „Kein Widerspruch“ stellen Menschen mit einer Behinderung ihre Projekte und Ideen vor. Bei „The Brander“ liegt der Fokus auf Reportagen über Marken und ihre Macher aus aller Welt. Auch hier laden die Fotos zum Verweilen ein. Leben ohne Limit: Inspiration ist oftmals der erste Schritt auf dem Weg der Veränderung. Ein Onlinemagazin für Psychologie, Philosophie und Persönlichkeit. Vielleicht kennt ihr weitere empfehlenswerte Blogs, in denen Menschen und ihre Projekte vorgestellt werden? Ich freue mich über Tipps und darauf, in Ruhe Neues zu entdecken. Ab und zu werde ich auch zukünftig auf Menschen, Projekte und Events hinweisen. Ich wünsche allen Leserinnen und Lesern eine wunderbare Zeit. This contribution has been written by Astrid Thews. She has been living in Cairo, Egypt, for several years now. Together with Mayada Said and three other women, she co-founded Mahatat for contemporary art at the beginning of 2011. Mahatat for contemporary art is an initiative for art in public space and community art projects. Mayada Said and Astrid Thews have been contributing to aminachaudri.ch since January 2013. In their texts, they describe events and portray people they have encountered through their work in Egypt. They make no claim to present a complete and representative description in their writing; on the contrary, they aim to contribute to a more differentiated picture of the country. The current situation in Egypt generates intense media interest. However, in the present contribution published in two parts, the authors tell of the temporary transformations of two squares in Cairo – transformations which are achieved through very different artistic interventions. As a preliminary remark, Thews would like to say that Mahatat is continuing to realise art projects throughout this year and is planning further projects for next year. Sudden changes of plan are, of course, always possible, as are short-term changes of dates and project venues due to current events. Everyday life, though it may have changed, continues. In the first part of this report, we described our project at Lazoughli Square, close to Egypt’s Ministry of Interior. On a small screen, we showed video art chosen by our curator Yara Mekawei. We recounted how we inadvertently created an intimate space for two hours, into which few passersby dared to intrude. 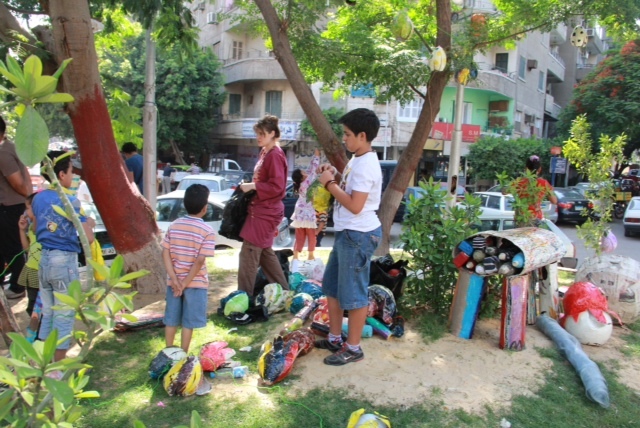 Three months later we wanted to transform Soliman Gohar Square, on the other side of the Nile. We wanted to do this together with the neighbourhood, and we wanted to avoid creating another bubble. Soliman Gohar Square is situated west of the Nile on a street of the same name. The street is known throughout Cairo for its affordable and lively fruit and vegetable market. It is also notorious for the rubbish heaps deposited there by residents until they are picked up by garbage carts. 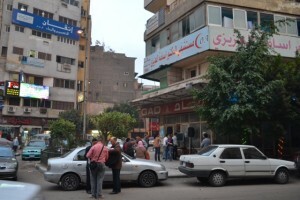 There are, of course, countless other such squares in Cairo and Giza – why did we choose this one? First, it is close to our Mahatat office. It seemed fitting to realise our first neighbourhood project in our own neighbourhood. Second, despite having only one driving lane, the small square is much frequented. The whole neighbourhood is very lively and full of shopping pedestrians, and the square, with its family atmosphere, features a circular patch of green in its middle. Around the square and in the neighbourhood as a whole, a large number of trees are growing. Life, liveliness and nature come together in this square in the middle of the city – which is why we chose this location: our project, after all, was about trees. 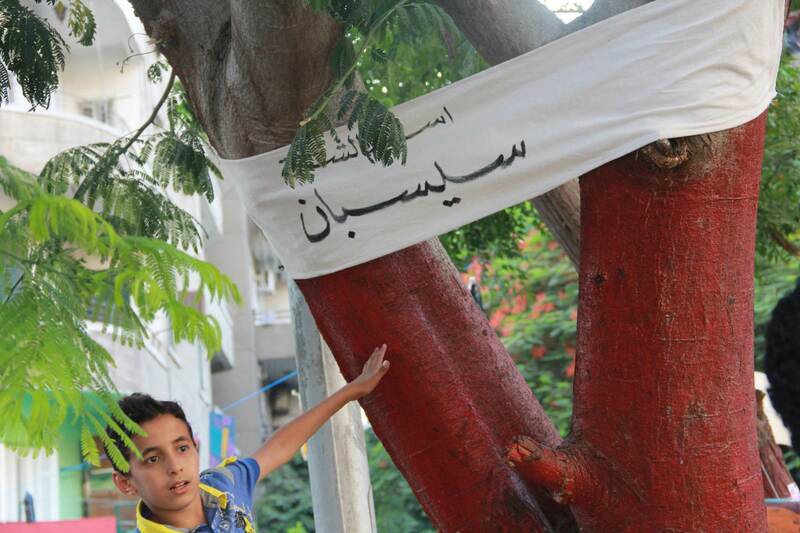 Amr Abd Elaziz, our curator for the exhibition in the square, did a little field research and interviewed people from the neighbourhood on the topic of trees. He found that people showed considerable interest in trees. 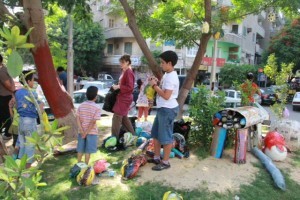 So the Danish video artist Nanna Guldhammer, who offered a children’s workshop for the project, began spending time in and around Soliman Gohar Square. For a couple of weeks, Nanna drank tea with countless people and listened to their stories. During those weeks, she met the man who had planted most of the trees in the neighbourhood. He proudly led Nanna to different trees and told her which he had planted when. Together with a few children from the neighbourhood, Nanna, Noha Hesham, Eslam Hamed, Dina Fahmy and Mustafa Nagah created papier-mâché objects and textiles with potato prints. These were to be displayed around the square on the day of the festival we wanted to organise. A few months before, we had decided on this date, a Friday, for our festival. By the end of May, however, demonstrations were being planned for that day, because people were intently awaiting the results of the presidential election. We consulted our partners and the artists and decided to postpone the festival. We didn’t really know until when – after all, who can say what will happen? We waited until the evening. As there was no big news of shocking events, we called the participants again. Jointly, we decided to meet at Soliman Gohar Square the next day. A few days before the event, the graffiti and mural artist Mohamed Khaled and his team had painted on the wall of a house. The owner of the house had agreed to have his property decorated with a colourful illustration for one of the stories to be told. Thus the stage was set for the evening: the storytellers would be able to share their stories with the residents in front of the painted wall. This contribution has been written by Astrid Thews and Mayada Said. Having lived in Cairo, Egypt, for several years, they co-founded Mahatat for contemporary art at the beginning of 2011. Mahatat for contemporary art is an initiative for art in public space and community art projects. Here on aminachaudri.ch Thews and Said describe events and portray people they have encountered through their work in Egypt. They make no claim to present a complete and representative description in their writing; on the contrary, they aim to contribute to a more differentiated picture of the country. In the present contribution, published in two parts, they tell of the temporary transformations of two squares in Cairo – transformations achieved through very different artistic interventions. Tahrir Square is probably the best-known square in Egypt: most people in Europe have heard of it through the media in the context of the revolution that began on January 25, 2011. Tahrir Square is at a central location (as far as this can be said in a megacity with an estimated 25 million inhabitants) and carries much symbolic meaning. It has become a symbol of resistance and the site of sometimes bloody clashes between protesters and security forces. It has been described often, and it still appears in pictures and videos broadcast by international media. Days and weeks during which protesters assemble here and fight for their rights are followed by days and weeks during which the square is open to traffic, and people, for the most part, go about their everyday business and simply pass through on their way – until it is claimed again by protesters and tents. Of course there are many more public squares in Cairo, small as well as big ones, even if they are not under the spotlight of the media and are of less significance in terms of national security and interest. For the residents living around these squares, however, they play an important role in everyday life. This report is about two such squares: the so-called Lazoughli Square and Soliman Gohar Square. Lazoughli Square is located east of the Nile, close to the Ministry of Interior in the Mounira neighbourhood. It used to be very busy, and it has several traffic lanes and an anonymous feel. It is quieter today, for the obvious reason that the military or Ministry of Interior repeatedly put up barriers in downtown Cairo and Mounira in order to protect the ministry and other public buildings from protesters, to split up broad avenues and interrupt or stop demonstrations. Soliman Gohar Square is located west of the Nile on a street of the same name, a street known all over Cairo for its cheap and lively fruit and vegetable market. This market, however, is also notorious for piles of rubbish deposited by the residents for garbage carts to pick up. There is a lot of traffic through this little square, which only has one traffic lane, and the entire neighbourhood is very lively and crowded with shopping pedestrians. There is a rather familial atmosphere to it. In the middle of the square there is a circular patch of vegetation, and around the square – as well as in the whole neighbourhood – there are plenty of trees. Zwei Projekte suchen inspirierende Geschichten. Eure? Zwei Projekte sind mir in den vergangenen Tagen aufgefallen, die ich kurz vorstellen möchte. Beide wurden von spannenden Frauen ins Leben gerufen. Gesucht werden Geschichten und Ideen, Ansichten, die inspirieren. Vielleicht habt Ihr Lust, mitzumachen? Bei selbstbestimmung.ch habe ich einen Artikel von Lothar Ebe über das Projekt von Katharina Mottyll entdeckt: Die schwerhörige Studentin Katharina Mottyll sucht Bilder und Texte für eine Zeitschrift, bei der es NICHT um Helden oder Opfer geht. Mottyll entwickelt im Rahmen ihrer Bachelor-Arbeit ein Magazin. „In meinem Thema geht es um die Konzeption und Umsetzung einer Zeitschrift, die über Menschen mit Behinderung berichtet”. Warm und transparent und nicht zuletzt auch humorvoll soll die Ansprache werden. „Die Arbeit handelt von Menschen, die trotz gesellschaftlicher und damit verbundener sozialer Hürden ihren völlig eigenen Weg gehen”. Mehr Informationen zu Katharina Mottyll und zum Projekt sind im Artikel „Ein einmaliges Magazin über Menschen mit Behinderung, die ihren eigenen Weg gehen” zu finden. Vor einiger Zeit wurde ich auf ein Interview von Mathias Morgenthaler mit Catharina Bruns aufmerksam. Seither bin ich in Vorfreude, in den Weihnachtsferien ihr Buch „Work is not a Job. Was Arbeit ist, entscheidest du!” zu lesen. Zwei Projekte suchen also inspirierende Geschichten. Eure Geschichte? Dieser Beitrag wurde von Astrid Thews verfasst. Sie lebt seit mehreren Jahren in Kairo, Ägypten, und hat Anfang 2011 gemeinsam mit Mayada Said und drei weiteren Frauen „Mahatat for contemporary art“ mitbegründet – eine Initiative für Kunst im öffentlichen Raum und partizipative Kunstprojekte. Hier auf www.aminachaudri.ch schildern Mayada Said und Astrid Thews seit Januar 2013 Begebenheiten und porträtieren Personen, denen sie in Ägypten durch ihre Arbeit begegnet sind. Die Verfasserinnen erheben dabei keinen Anspruch auf Generalisierung, möchten sie doch vielmehr zu einem differenzierteren Bild über Ägypten beitragen. Trotz aktuellem Medieninteresse an der momentanen Lage in Ägypten, geht es im vorliegenden Beitrag in zwei Teilen um die temporäre Verwandlung zweier Plätze in Kairo im Jahr 2012 durch sehr unterschiedliche künstlerische Interventionen. Dem Beitrag möchte die Autorin aber voranstellen, dass Mahatat auch dieses Jahr Kunstprojekte auf die Beine stellt und weitere für das kommende Jahr konzipiert. Natürlich gibt es immer wieder plötzliche Planänderungen sowie kurzfristige Terminverschiebungen und Ortswechsel aufgrund der aktuellen Geschehnisse, doch das Leben und ein angepasster Alltag gehen weiter. Im ersten Teil dieses Beitrags erzählten wir vom Lazoughli-Platz nahe des ägyptischen Innenministeriums, an dem wir auf einem Bildschirm von der Kuratorin Yara Mekawei ausgewählte Videokunst ausstrahlten. Wir schilderten, wie wir und unsere Gäste den Raum verwandelten und wie wir unbeabsichtigt für zwei Stunden eine Wohnzimmeratmosphäre schafften, in die sich Passanten kaum wagten. 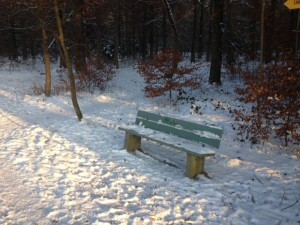 Drei Monate später wollten wir mit Mahatat am Soliman-Gohar-Platz auf der anderen Nilseite keine Blase kreieren, sondern vielmehr mit der Nachbarschaft gemeinsam den kleinen Platz verwandeln. Der Soliman-Gohar-Platz befindet sich auf der westlichen Nilseite an der gleichnamigen Strasse, die für ihren günstigen und belebten Gemüse- und Obstmarkt in ganz Kairo bekannt ist. Berüchtigt ist er für die Abfallberge, die Anwohner hier lagern, bis sie von Müllkarren abgeholt werden. Natürlich gibt es unzählige Plätze dieser Art in Kairo und Giza – wieso entschieden wir uns ausgerechnet für diesen? Zum einen befindet sich der Platz in unmittelbarer Nähe des Mahatatbüros und es lag für uns daher nahe, unser erstes Nachbarschaftsprojekt in unserer eigenen Nachbarschaft zu verwirklichen. 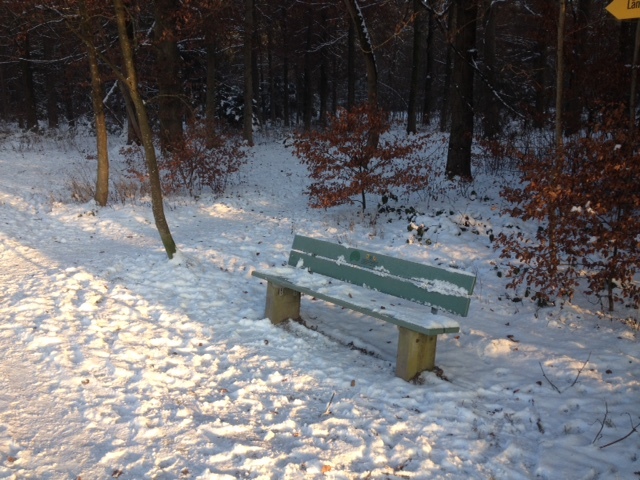 Zum anderen ist der kleine Platz zwar einspurig, aber vielbefahren, und das gesamte Viertel ist belebt und voller einkaufender Fussgänger. Es herrscht eine familiäre Atmosphäre. In der Mitte des Platzes ist eine kreisrunde Grünfläche und um den Platz herum sowie im gesamten Viertel gibt es viele Bäume. Das Leben, die Belebtheit und die Natur, die sich hier selbst inmitten der Stadt zeigt, waren der zweite ausschlaggebende Grund für unsere Wahl, denn es sollte in diesem Projekt um Bäume gehen. Amr Abd Elaziz, der die Ausstellung an diesem Platz kuratiert, machte sich zu einer kleinen Feldforschung auf und interviewte Leute in der Nachbarschaft zum Thema Bäume. Er stellte fest, dass das Interesse an Bäumen sehr gross war. Daraufhin begann die dänische Video-Künstlerin Nanna Guldhammer, die für dieses Projekt einen Workshop für Kinder anbot, einige Wochen auf und um den Soliman-Gohar-Platz zu verbringen. 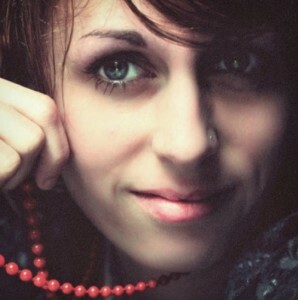 Nanna trank Tee mit zahllosen Menschen und hörte ihren Geschichten zu. In diesen Wochen lernte sie auch den Mann kennen, der die meisten Bäume in der Nachbarschaft gepflanzt hat. Stolz führte er Nanna zu den verschiedensten Pflanzen und erzählte ihr, wann er welche gesetzt hatte. Mit einigen Kindern der Nachbarschaft erstellten Nanna, Noha Hesham, Eslam Hamed, Dina Fahmy und Mustafa Nagah während zweier Wochen diverse Pappmaché-Gegenstände und mit Kartoffeldruck bestempelte Textilien, die am Festival-Tag rund um den Platz aufgehängt werden sollten. Einige Tage vor der Veranstaltung hatten der Graffiti- und Mural-Künstler Mohamed Khaled und sein Team die Wand eines Hauses bemalt. Der Hausbesitzer hatte sich damit einverstanden erklärt, sein Eigentum mit einer bunten Zeichnung zu einer Geschichte verzieren zu lassen. Somit war die Bühne bereit, damit am Abend Geschichtenerzähler ihre Geschichten vor der bemalten Hauswand mit den Anwohnern teilen können.